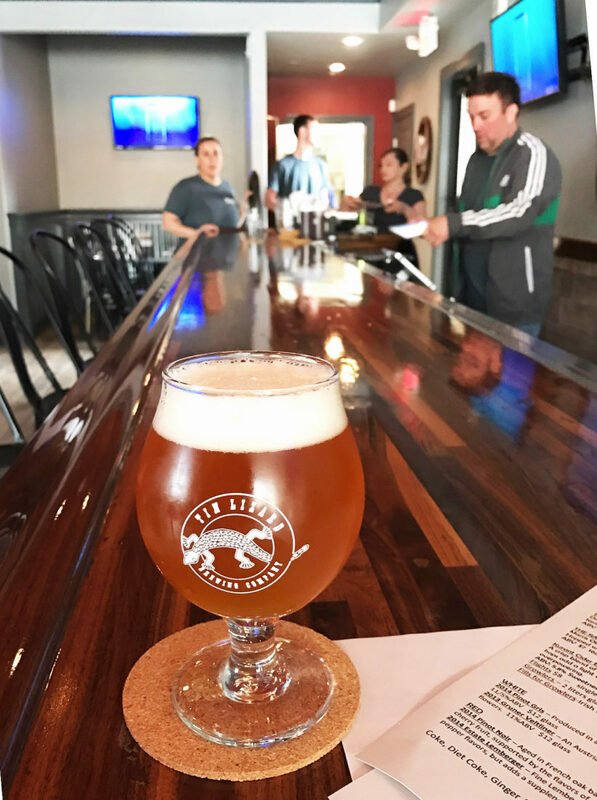 In the Philadelphia suburbs, brew pubs and tap rooms are popping up all over the place. In the past year we have added La Cabra (Berwyn) and now Locust Lane in Malvern and Tin Lizard in Bryn Mawr. It seems strange to think of 2SP, the Sterling Pig, Tired Hands and Stickman as being “long established” – but at this point a two or three year old brewery/pub is a real veteran of the local craft beer scene. The Brewers Association revealed at the recent Craft Brewers Conference in DC that while craft brewing overall is starting to show some slowing in volume growth (just 6% in 2016), the numbers of breweries (5300+) is certainly continuing to grow. The biggest gains are in brew pubs (up 15%) and microbreweries with taprooms (up 27%). We are fortunate to now have an assortment of these to choose from. 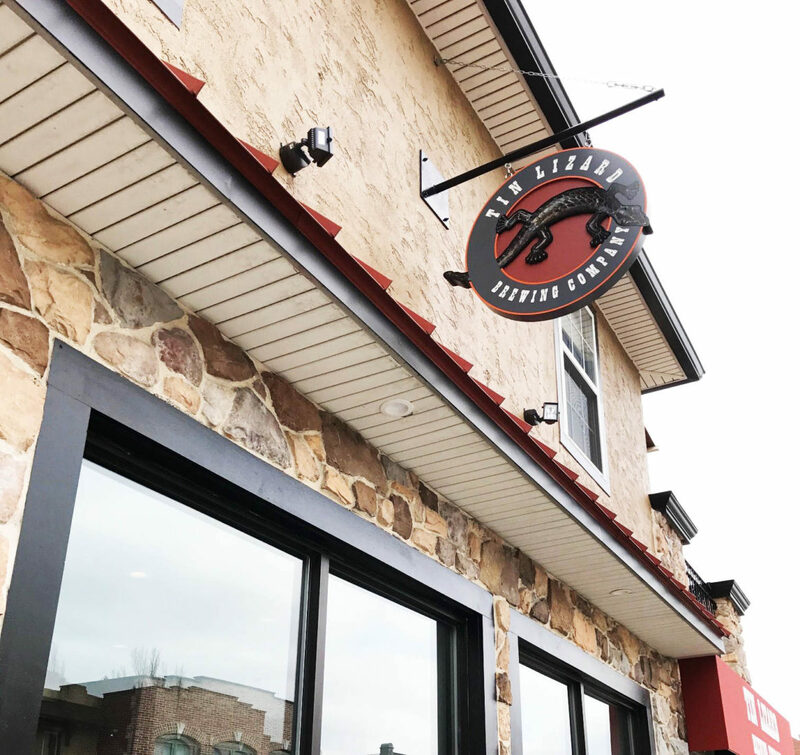 Tin Lizard opened on Lancaster Avenue in Bryn Mawr a few weeks ago with minor fan fare, especially considering the location – right in the center of the Main Line. So I was not sure what to expect when I dropped in (for the first time) last weekend. A brew pub/micro brewery tap room experience can vary widely – from the bare bones industrial warehouse space with picnic tables to a well appointed restaurant type look and feel. But it’s all about the beer, right? Well, yes it is, but now the game has changed and just making good beer isn’t enough. As competition grows, so do the options of beer appreciators – and if you have a choice of two or three good breweries nearby, what makes the difference to you? Well, based on my visits, Tin Lizard has a lot to offer. Number one, the beer is very good. 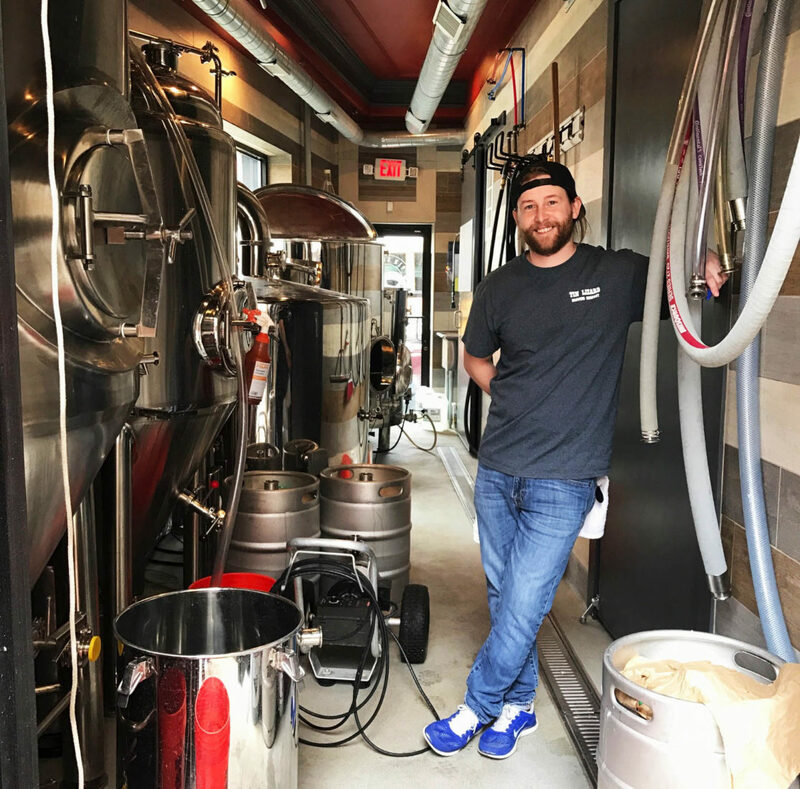 Brewer Chris Young cut his teeth at Round Guys in Allentown, then at the Conshohocken Brewing Co. Lizard manager Shaun Carney is also a veteran of Conshohocken. Chris has a new five barrel brewhouse shoehorned into a small space at the end of the building – which passers by can view through a huge window behind the brewhouse. I enjoyed Chris’s hoppy and balanced IPA’s, his dry but sweet enough Belgian Blond, and to me his Imperial Stout could have been a black IPA – so good. He told me that his goal is to not brew the same recipe twice in his first year. He has a saison in the tank that is so dry that it’s final gravity is not that much higher than water – I am looking forward to that one. And a bonus is that Chris is a genuinely nice guy, and willing to hang around the tap room and share beer geek-dom with his patrons. “I listened to two homebrewers bashing my IPA the other day – ‘too watery’ they said….” Chris told me with a smile. OK the beer is good – now what about the experience? Another win, as the location was converted from a “hookah bar” to a nicely fit out, brightly lit pub. The bar area is dominated by a beautiful wooden bar, in a very professional but comfortable tap room. Up the stairs is another small seating area that gives way to an outdoor rooftop patio overlooking downtown Bryn Mawr. The focus on the look and feel is evident right down to the beer flight trays – all handmade wood finished. It certainly doesn’t hurt that the owners are successful custom home builders in the Main Line area – they know how to make things nice. The Lizard also has a small kitchen, with two barbecue smokers, offering a limited but tempting menu. I haven’t yet tasted their fare – but Tin Lizard’s evident attention to detail suggests that it will be just as good as the rest of the experience. Overall the vibe is good, and you can tell that the staff is interested and engaged – and looking forward to summer crowds and a vibrant rooftop party atmosphere. As far as the “brand” – what is it with the name? OK, us older beer appreciators are thinking about the old 70’s one-hit wonder band who gave us “The Boys are Back In Town”… or maybe its from the nickname for the earliest Ford autos? No, it turns out to be a reference to the nickname for a streamlined or bullet train – and the new owners thought of it because of the brewery’s location between two train stations (Rosemont and Bryn Mawr). But there is enough lizard art around to make that connection as well. 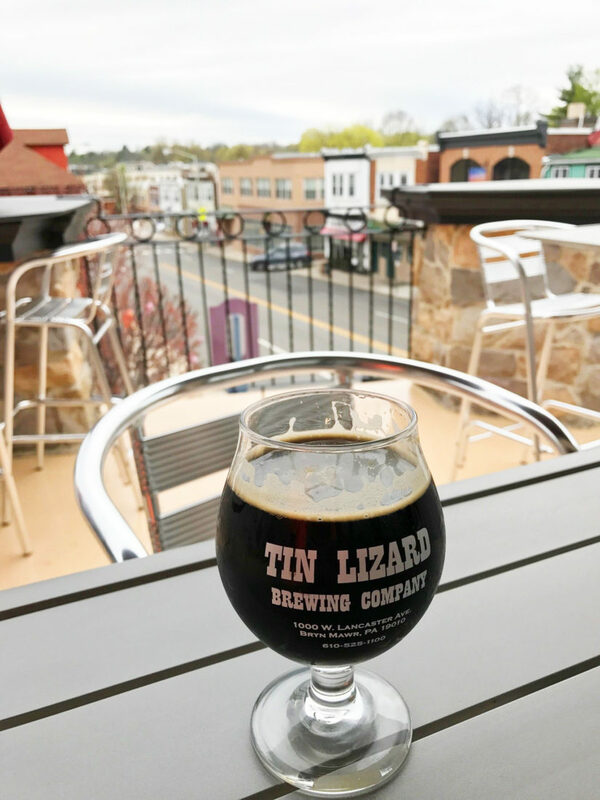 For me, Tin Lizard has what I am looking for in my local craft brew experience, why not drop by say “hi” to Chris and Shawn, and see if you agree with me!